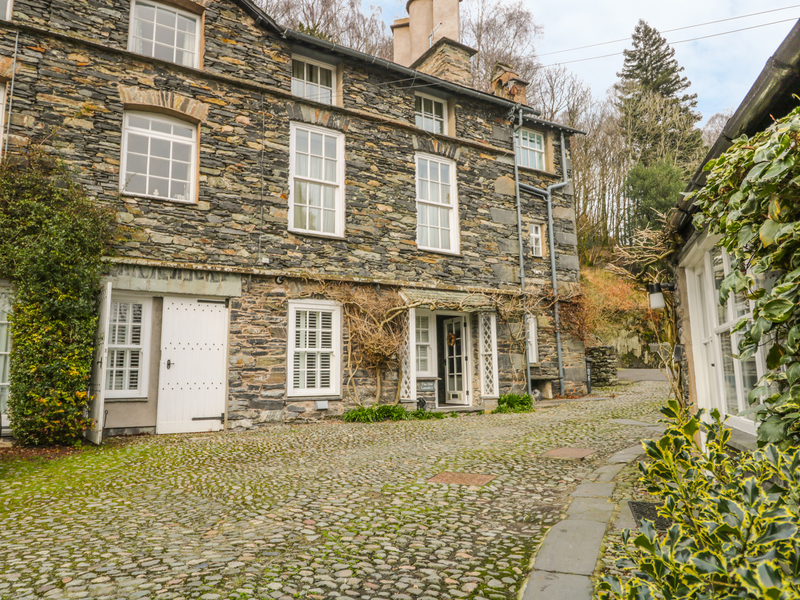 The Old Laundry is an outstanding, ground floor, semi-detached courtyard cottage in the desirable hamlet of Clappersgate, just one mile from Ambleside in the heart of the Lakes and can sleep four people. 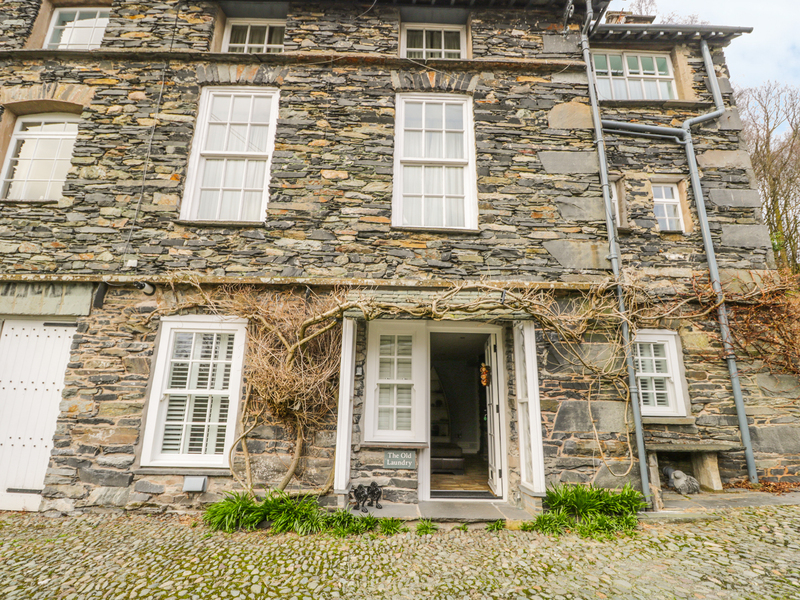 There are two double bedrooms with en-suite shower rooms and an open plan living area with kitchen, breakfast bar and sitting area with a gas fire. Outside there is off road parking for one car and a shared, lawned garden with furniture located across the main road. The Old Laundry is a wonderful holiday base. All ground floor. Two double bedrooms with en-suite wet-room with shower, basin and WC. Open plan living area with kitchen, breakfast bar (seats 4) and sitting area with gas fire. Gas central heating and gas fire. Electric oven and gas hob, microwave, fridge/freezer, wine cooler, washer/dryer, dishwasher, TV with FreeSat, DVD, WiFi. Fuel and power inc. in rent. Bed linen and towels inc. in rent. Off road parking for 2 cars. Shared, lawned garden with furniture located across main road. Two well-behaved dogs welcome. Sorry, no smoking. Shop and pub 1 mile. Note: Cottage is located near a well-used road so care should be taken and some road noise may be heard in garden. Note: The access to the river is through a small wicket gate and the garden is approached via 20 steps. Note: No infants allowed. Note: Beds are accessed from one side only.